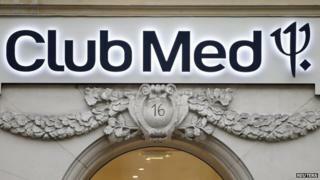 Chinese giant Fosun has finally clinched control of Club Mediterranee, the French holiday group, after nearly two years. After rival Italian tycoon Andrea Bonomi dropped out, Fosun was left as the sole bidder. Fosun has had its eye on Club Med for nearly five years. But the takeover battle began in earnest in May 2013. Its the longest running bid battle in recent times in France. Fosun used a special investment vehicle, Gaillon Invest, to conduct its bid for the French operator. "We can now get on with the work we started almost five years ago to support the development of Club Med in France and in fast-growing markets," said Gaillon Invest chairman, Jiannong Qian. In recent years Club Med has focused on serving wealthier sections of emerging economies attracting new customers particularly in Brazil and China. Club Med pioneered the all-inclusive holiday resort in the 1950s and 1960s, but has recently struggled amid the economic downturn in Europe.